Approximately 800 women die from pregnancy or childbirth-related complications around the world every day. (1) Ninety-nine percent occur in developing countries. The higher number of maternal deaths in some areas of the world reflects inequities in access to health services and the gap between rich and poor. The risk of maternal mortality is highest for adolescent girls under 15 years old. (3,4) Women in developing countries have on average many more pregnancies than women in developed countries, and their lifetime risk of death due to pregnancy is higher. The probability that a 15-year-old woman will eventually die from complications of pregnancy is 1 in 150 in developing countries versus 1 in 3800 in developed countries. Preeclampsia should be detected and appropriately managed before the onset of convulsions (eclampsia) and other life-threatening complications. Administering drugs such as magnesium sulfate for pre-eclampsia can lower a woman’s risk of developing eclampsia. In the U.S., pregnant women are commonly followed by a health care specialist (doctor, midwife or nurse) with frequent prenatal evaluations. In areas of the world with little access to care and lower social status of women, traditional health practices are usually inadequate to detect preeclampsia early. Hypertensive disorders of pregnancy commonly advance to more complicated stages of disease, and many births and deaths occur at home unreported. Poor women in remote areas are the least likely to receive adequate health care. This is especially true for regions with low numbers of skilled health workers, such as sub-Saharan Africa and South Asia. Although levels of prenatal care have increased in many parts of the world during the past decade, the World Health Organization reports that only 46% of women in low-income countries benefit from skilled care during childbirth. (1) This means that millions of births are not assisted by a midwife, a doctor or a trained nurse. To improve maternal health worldwide, barriers that limit access to quality maternal health services must be identified and addressed at all levels of the health system. 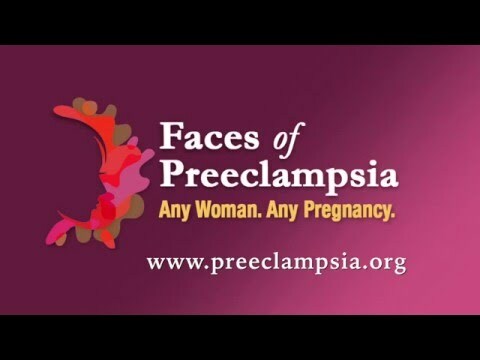 The Preeclampsia Foundation’s mission, as it applies to the global burden of this disease, includes advocating for greater awareness and attention to the preeclampsia within broader maternal health initiatives, identifying and supporting improvements to health care delivery – in all settings, and encouraging empowerment and engagement of women through effective preeclampsia education. 2. Cousens S, Blencowe H, Stanton C, Chou D, Ahmed S, Steinhardt L, Creanga AA, Tunçalp O, Balsara ZP, Gupta S, Say L, Lawn JE. National, regional, and worldwide estimates of stillbirth rates in 2009 with trends since 1995: a systematic analysis. Lancet, 2011, Apr 16;377(9774):1319-30. 3. Conde-Agudelo A, Belizan JM, Lammers C. Maternal-perinatal morbidity and mortality associated with adolescent pregnancy in Latin America: Cross-sectional study. American Journal of Obstetrics and Gynecology, 2004. 192:342–349. 4. Patton GC, Coffey C, Sawyer SM, Viner RM, Haller DM, Bose K, Vos T, Ferguson J, Mathers CD. Global patterns of mortality in young people: a systematic analysis of population health data. Lancet, 2009, 374:881–892. 5. Villar J, Say L, Gulmezoglu AM, Meraldi M, Lindheimer MD, Betran AP, Piaggio G; Eclampsia and pre-eclampsia: a health problem for 2000 years. In Pre-eclampsia, Critchly H, MacLean A, Poston L, Walker J, eds. London, RCOG Press, 2003, pp 189-207. 6. Ronsmans C, Graham WJ on behalf of the Lancet Maternal Survival Series steering group, “Maternal mortality; who, when, where and why.” The Lancet, Maternal Survival, September 2006. 7. Preeclampsia: A Decade of Perspective, Building a Global Call to Action. Preeclampsia Foundation, Melbourne, Florida, Nov 2010. 8. Kuklina EV, et al. Hypertensive Disorders and Severe Obstetric Morbidity in the United States. Obstet Gynecol 2009; 113:1299-306. 9. Maternal mortality in 2005: estimates developed by WHO, UNICEF, UNIFPA and the World Bank, Geneva, World Health Organization, 2007. 10. Lack of Preeclampsia Awareness Increases Risk of Infant Mortality, Press Release, Preeclampsia Foundation, May 8, 2008.